I developed a passion for wingshooting at a very young age. From watching the bird dogs work to the comradery during and after a hunt, wingshooting is a special type of hunting that will always be unique for me. Recently I got exposed to duck hunting (in Northern California) and have become addicted! Based on my experiences, here are a few of my duck hunting tips for someone duck hunting for the first time. One of the hardest things for me to learn when first wingshooting was to follow-through on my shot. After squeezing the trigger, I tend to stop moving my shotgun and not continue to follow a bird’s path in the air. 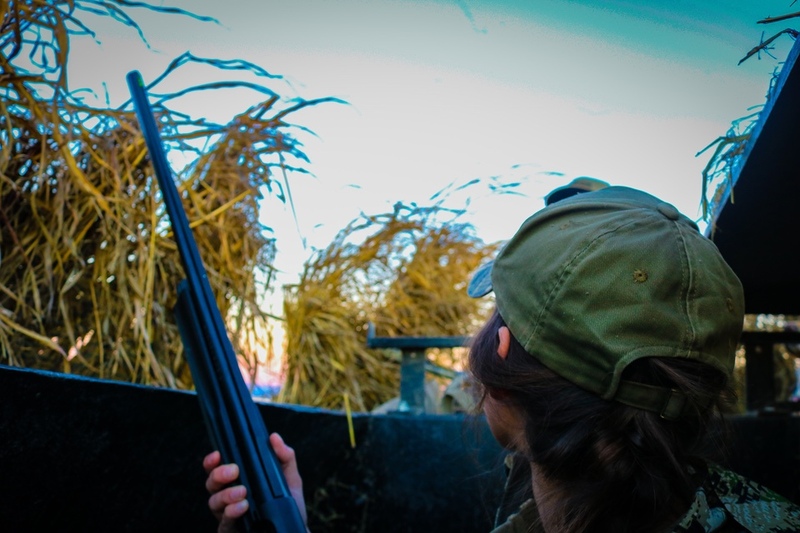 Ducks (especially green winged teal) fly extremely fast, so following through on your shot is vital; that way, the shot will go with the moving target. Because of teals’ fast speed, missing is going to happen. Eventually, if you stay on your target and follow through after your first shot, you may have a second shot opportunity if needed. You also want to lead the ducks. I like to focus on a duck’s beak when I squeeze the trigger. If you squeeze the trigger as you’re focusing on the duck’s body, the duck will be in front of where you were focusing on when the shot was taken, which is another reason why it’s important to follow through. When hunting ducks in Northern California, the wetter the weather, the better. Therefore, you want to have the right gear, so your hunt can be enjoyable. I would recommend investing in waders or at least a good pair of rubber boots. 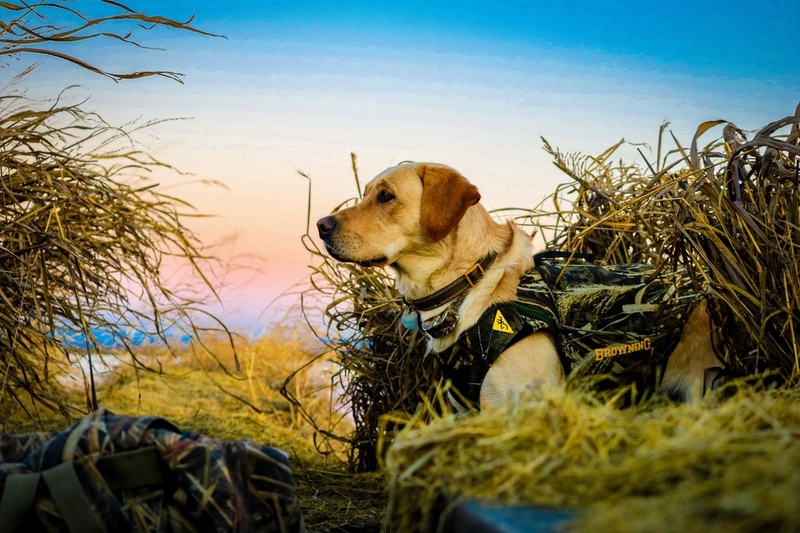 A lot of the duck hunting in California takes place near flooded rice fields and ponds, which means you may have to walk through muddy and wet conditions. You also want to have good rain gear. If it’s raining during your duck hunt, ducks will be on the move, meaning that a lot more ducks will be flying. This tip is not only appropriate for duck hunting, but it also can apply to any type of wingshooting. Although it may sound simple, being familiar and comfortable with your equipment is extremely important. 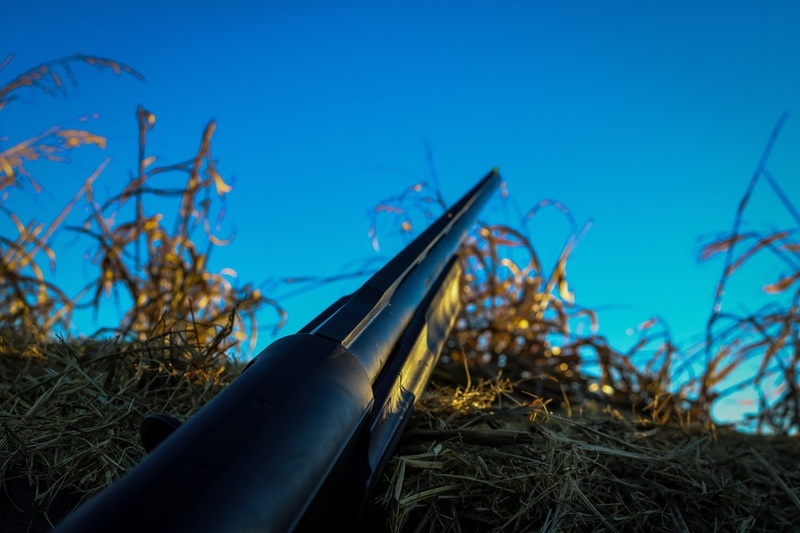 When ducks are flying over your blind like rockets, the last thing you want is to be fumbling around with your shotgun searching for the safety. 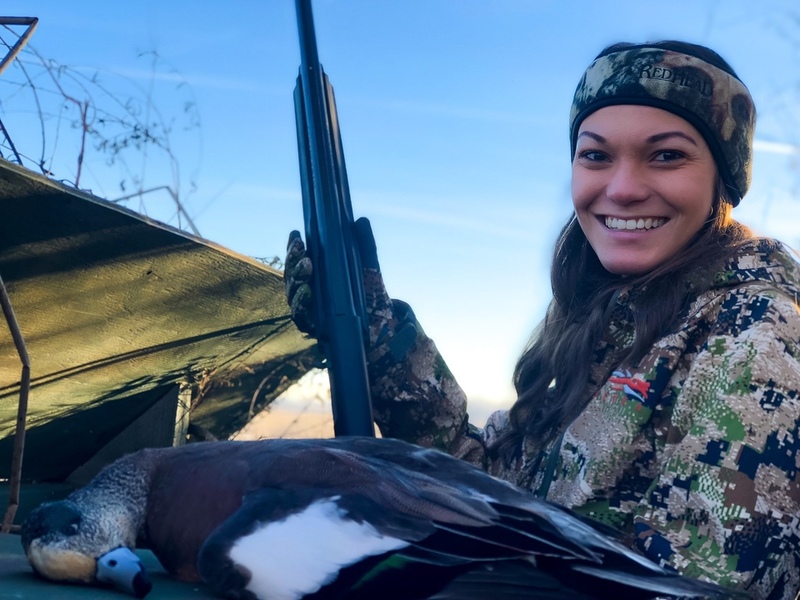 You want it to be a fluid motion from seeing the bird, to shouldering your shotgun, turning the safety off and finding the bird while squeezing the trigger. Knowing your equipment can be the difference between being successful and getting a duck or not getting a shot on a bird. Can you load your gun in the dark, keeping it pointed in a safe direction? Also, make sure that you plug your shotgun, in accordance with the state’s regulations. I chose to shoot the Remington left-handed version of its popular VERSA MAX Synthetic semi-auto shotgun. I knew that I wanted a 12 gauge semi-automatic with a clean discharge cycle. Also, on my wish list, was a shotgun that wasn’t too heavy, knowing that I would also use it for upland hunting, meaning that I would be walking with it in the field. When I came across the Remington VERSA MAX, I was immediately drawn to it for all the above-listed reasons. On my first hunt using the VERSA MAX, I hunted ducks in the morning and pheasants in the afternoon. I used a modified choke for both hunts. From the first flock of ducks that came over the blind, I was immediately impressed by the “knock down power” from the waterfowl shells. The shotgun continued to cycle well without any jams occurring throughout the hunt. Because of the light weight and reduced recoil of the shotgun, I could hunt all day, carrying and shouldering the shotgun with very little fatigue. While hunting, I was also able to appreciate the location of the safety. The safety is located on the trigger guard, making it easy to find when shouldering the shotgun, allowing for a fluid motion. The lighter weight helps a hunter become less fatigued, being more accurate when it is time to shoot. 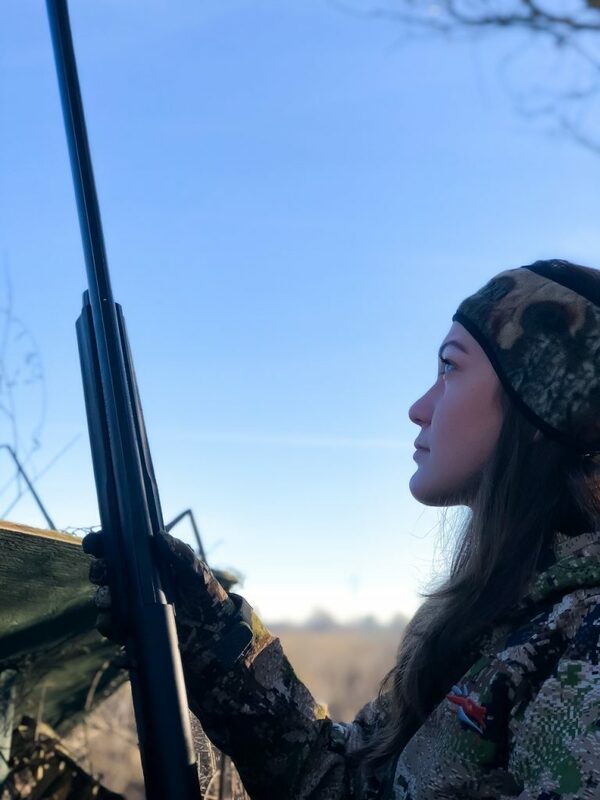 The shotgun is also available in a 26-inch barrel length, which is perfect for any female hunter with a smaller frame. One of my top reasons for recommending this shotgun is its reliability. Once broken in, it has a clean and smooth cycle, discharging the empty shell without jamming. MSRP: $1456. Utilizing decoys can be extremely helpful during your hunt, especially when hunting over water. By setting decoys in the water in front of you, ducks will see them as they’re flying over. The decoys may encourage them to land in the water in front of you, almost like an invitation to join the other ducks (decoys). A little trickery, but effective! Learn from others who have mastered the art of decoy spreads, and be aware of what works when, why and where.